When Queen Anne visited Bath in 1703 to take the waters for her health, as described by Oliver Goldsmith in 1762, she was entertained ‘with a fiddle and a hautboy, and with country dances on the bowling-green. The lodgings were dingy and expensive, the pump-house had no director.’ Even the properties of the water were under challenge by a choleric physician who threatened to ‘throw a toad into King Bladud’s Well,‘ by writing a pamphlet against the medicinal merits of the waters. At the time Queen Anne visited Bath, London was the only real social centre in England and peers thronged there in the winter to socialize, see and be seen. ‘Beau’ Nash was among those who enjoyed the entertainments of London ‘this great mart of every folly’. The son of a gentleman, ‘Beau’ Nash had been thrown out of Oxford College for intrigue with woman, tried an army life and decided it was not for him and then became a gamester. 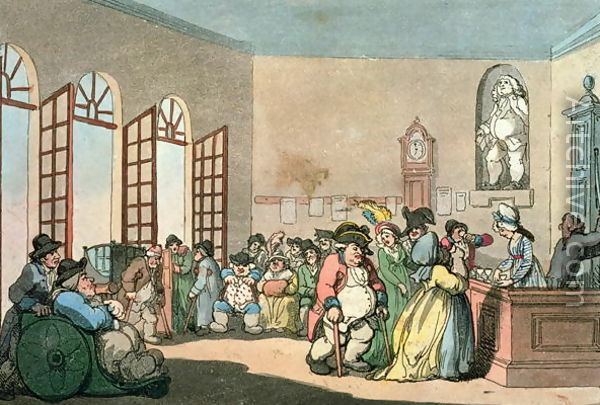 Men who lived on their income from gambling ‘sharpers’ flocked to London ‘from every country daily’ to take advantage of the wealthy peerage in the winter season, but in the summer they left England for the spa towns of the continent to fleece the wealthy there while English society dispersed in the country. Nash was a charmer, he certainly knew how to win friends and influence people in London, as a young man he had already risen to a point where he once acted master of ceremonies to entertain King William and did it so successfully the King offered him a knighthood, which Nash rejected but hinted he’d accept if the title came with a fortune. The king did not take the hint. But obviously a man with an eye for opportunity, following Queen Anne’s visit to Bath, ‘Beau’ Nash headed there. 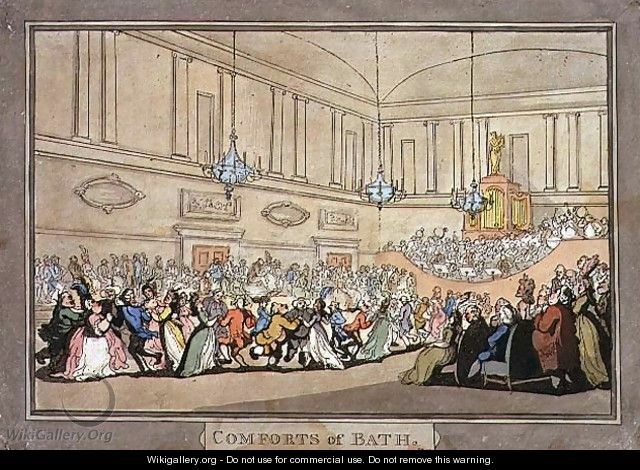 At the time of Queen Anne’s visit, Bath was only attended by people seeking cures for ill-health, however once Queen Anne had attended a small social scene began to develop. 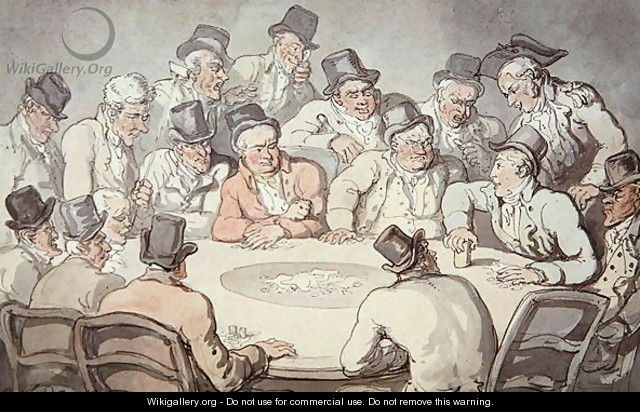 A Captain Webster, another gamester, had begun establishing balls in the town hall asking half-a-guinea from those who attended, but the entertainments and its society were considered crude. Smoking was permitted in the rooms, gentlemen and ladies appeared at entertainments in informal dress, the lodgings were paltry and plain; Goldsmith comments on beer and feet stained floorboards. ‘The city in itself was mean and contemptible’. Initially he worked alongside Captain Webster, but when Webster was killed in a duel Nash became the Master of Ceremonies. Like a circus ring leader he orchestrated life there; a king ruling over his kingdom. And thus the life we know Bath most for began. RULES to be observed at BATH. are expected or desired, by ladies of quality and fashion,– except impertinents. and caps, show breeding and respect. theirs,– except captious by nature. 5. That no gentleman give his ticket for the balls, to any but gentlewomen.– N.B. Unless he has none of his acquaintance. none do so for the future,– except such as respect nobody but themselves. such as have no pretence to dance at all. being past or not come to perfection. not extend to the Have-at-alls. 10. That all whisperers of lies and scandal, be taken for their authors. such as have been guilty of the same crime. reputation, are great authors of lies in these places, being of the sect of levellers. By 1706 new terraces of houses had been built and pavements laid for promenading, and the streets had been paved and lit, then as people were still ‘obliged to assemble in a booth to drink tea and chocolate, or to game’ Nash directed the erection of an Assembly-house and added gardens ‘for people of rank and fashion to walk in’. He equally told men what they may and may not do, banning smoking in rooms, and the wearing of swords which frequently tore ladies clothing. And banning duels; if he caught anyone making a challenge he would have them arrested. His biggest battle of note though was to get gentlemen to cease wearing their boots to balls. FRONTINELLA’S invitation to the Assembly. We Hoydens do decency slight. As Hogs-Norton squires in boots? 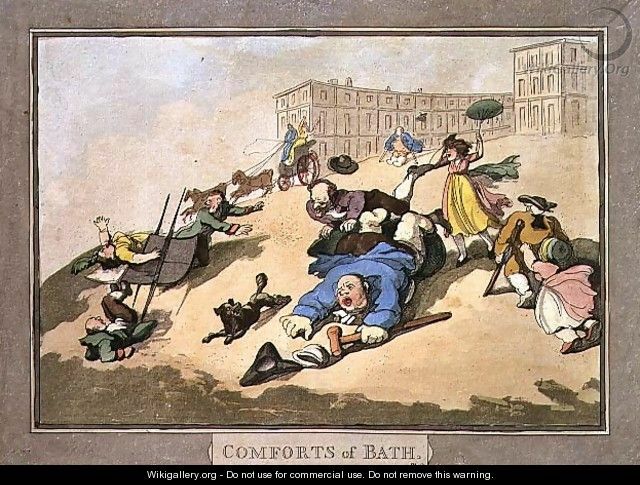 Next week I’ll look at a day in the life of 18th Century Bath during ‘Beau’ Nash’s reign. Posted on April 1, 2012 by janelark •	This entry was posted in Georgian Stories, Jane Austen, Stories from the City of Bath, Stories of Kings and Queens and tagged 1700s, 18th Century, Bath, Beau Nash, Jane Austen, writing. Bookmark the permalink.